The second ASYCUDA World Project Steering Committee was convened on Monday 27th July 2015. 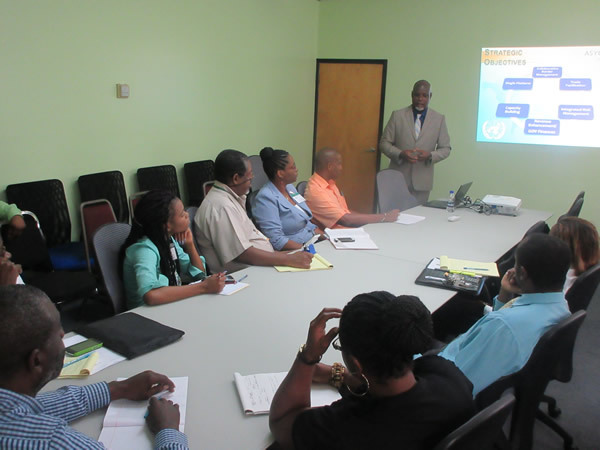 The Project Steering Committee (PSC) comprises of various stakeholders who play an integral part in the Customs & Excise daily functions and overall, the economy of Antigua & Barbuda. The PSC is mandated to oversee the implementation of the ASYCUDA World Project. Also present at this meeting were representatives from the World Bank. Chairman of the Project Steering Committee and Comptroller of Customs Mr. Raju Boddu, welcome the members to the meeting, and also took the opportunity to introduce newly appointed representative from the European Commission – Ms. Lisa Drakes who replaces Ms. Collette Driscoll. A presentation of the status and challenges of the project was given by Mr. Jules Bowen, Project Manager while Mr. Terence Leonard, UNCTAD Implementation Advisor, presented the project activities undertaken by UNCTAD. European Commission representative Ms. Lisa Drakes gave her remarks reaffirming the European Commission financial support, but also highlighted that any issues or problems that may occur in the implementation to ensure to update the commission. ASYCUDA will allow the Customs Division, trade operators and other government agencies to handle most of their transactions — from Customs declarations to cargo manifests, transit documents, as well as certifications, licenses and authorisations given by other government agencies, via the internet. 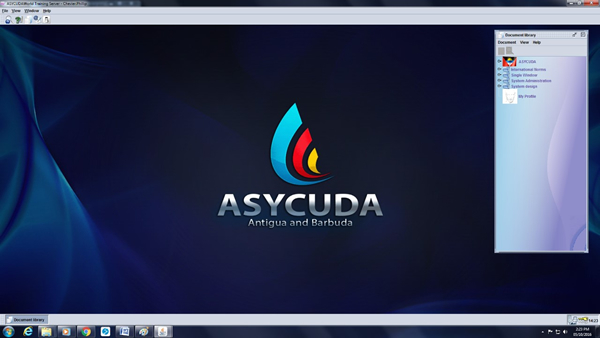 The implementation of ASYCUDA World System was made possible through financial support of the European Union (EU) and the Government of Antigua and Barbuda and with technical expertise from UNCTAD. Antigua and Barbuda received a grant for the project following a performance assessment conducted during EU’s Mid Term Review of the 10th European Development Fund (EDF) National Indicative Programme.